From Brugge, we took an almost empty train to Lille, where we picked up a rental car and started our tour around France. 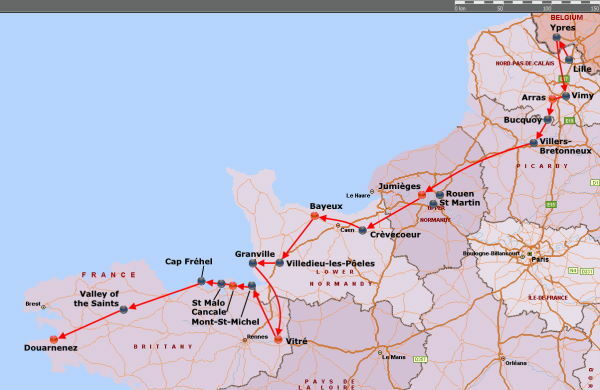 The first part took us from Pas-de-Calais, through Normandy and into Brittany. Click on the map to see a larger version, with place names. The red blobs are places where we stayed, and the black blobs are other places visited. We start by going to Arras.